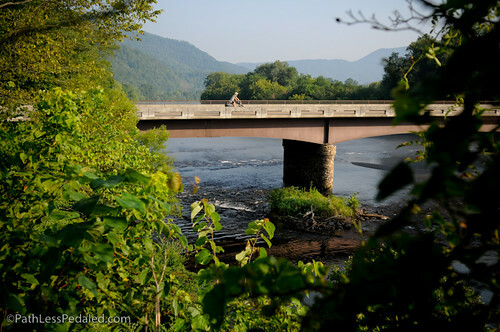 We’ve been on the move, pedaling at break neck speeds (not really) and are in North Carolina! We’ve passed such beautiful country that we have fought (and won!) the urge to just blow by it all. We’re not just stopping to smell the roses, we’re putting them in our mouths. Some snaps to catch ya’ll up. 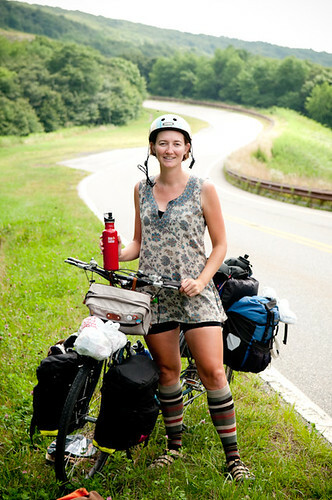 We met lots of great bikey people in Chattanooga. This is a portrait of Quint, who I stumbled upon at a cafe one morning. 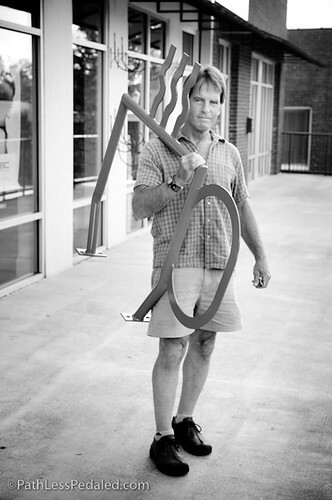 He had just purchased some bike racks for his favorite coffee shop and was there to figure out their placement with the owner. 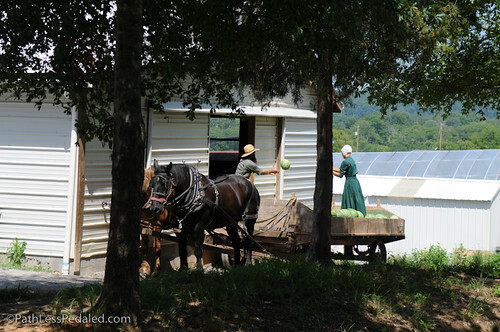 As we moved through East Tennessee we stumbled upon a Mennonite farmer’s market! Here are some folks unloading the watermelon into the side of the market. Laura crossing the Hiwasse River. 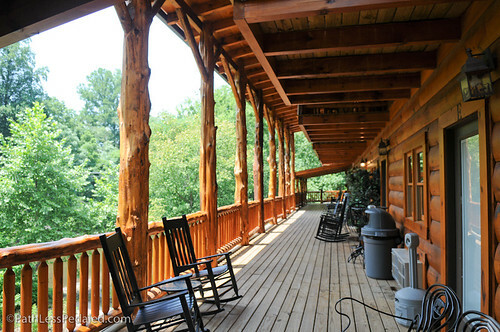 The interior of the awesome lodge we stayed at in Tellico Plains. The manager, Toni, a transplant from Louisiana was super friendly and welcoming. 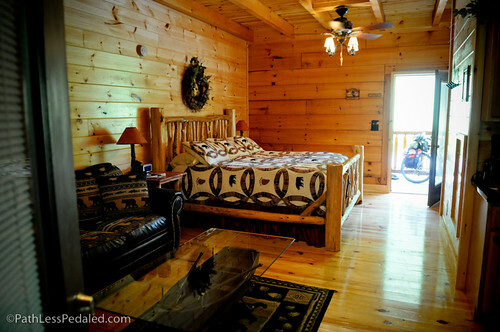 If you’re ever in Tellico Plains, we highly recommend the Mountain View Cabins! 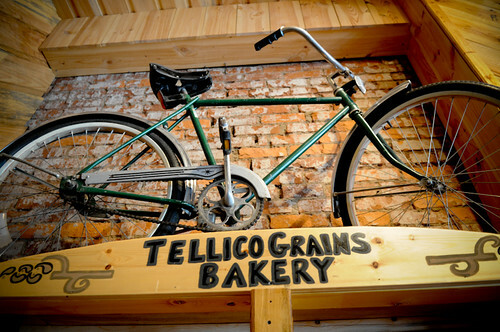 While at Tellico, we partake of a local food gem – the Tellico Grains Bakery! 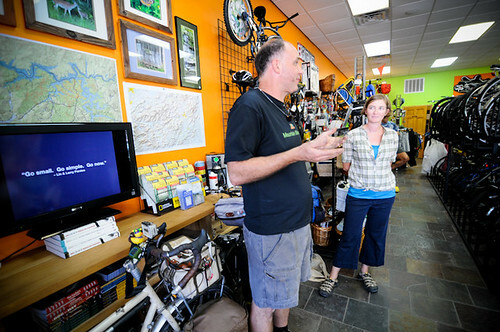 Stuart, the owner, is also an avid cyclists and has ridden the Great Divide Route. The food there is spectacular and is easily the best place to eat in town. 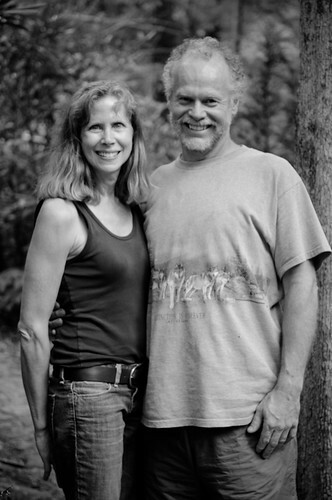 We also met up with some readers and talented artists, Allen and his wife Cathy. 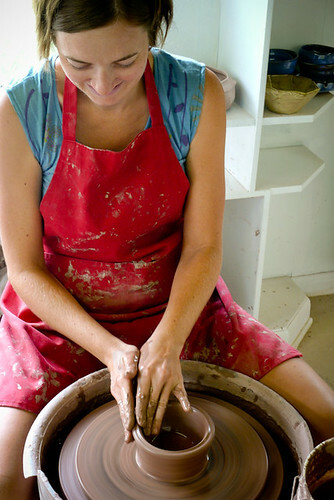 Allen is a sculptor and potter and Cathy is a painter who paints fluid abstracts inspired by water and nature. 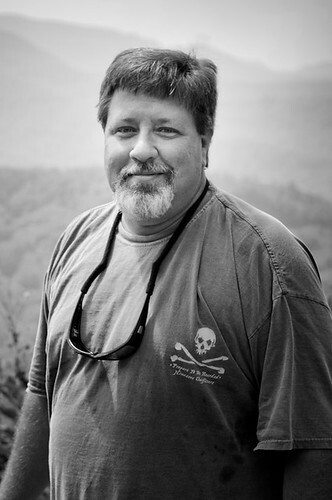 We visited them at their beautiful home in the mountains around Tellico, climbing up a bumpy gravel road! While at Tellico, I got a fair amount of fishing in! 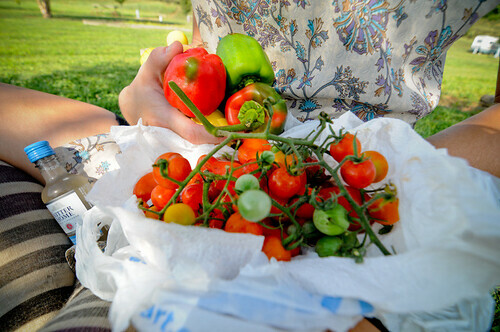 As we left Tellico, Toni the manager from the lodge gave us some hand picked vegetables after reading Laura’s post on food. She was just plain awesome. 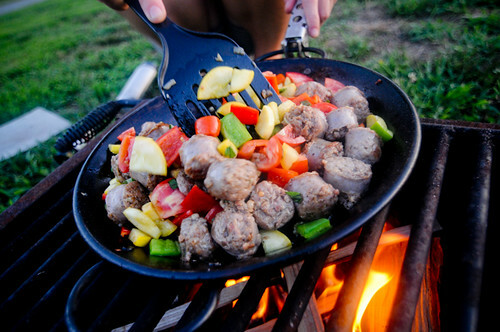 The gift of food was quickly put to use. 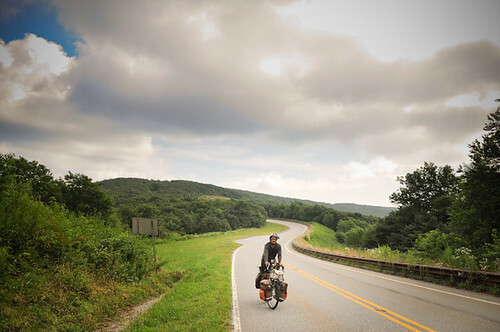 From Tellico, we hoof it up the Cherohala Skyway. It was some serious work after being in the flatlands for a while. We get a most AWESOME surprise when one of our readers, BIll, finds us at one of the overlooks and gives us some dessert and water! 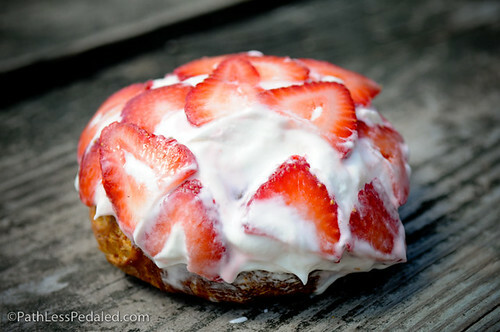 Nothing sweeter than eating strawberry shortcake while climbing a mountain on your one year anniversary of traveling. Amazing views from the Cherohala. We are all smiles at the top. 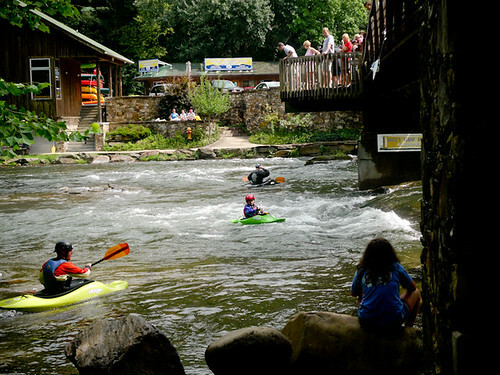 After the Skyway we stumble upon paddling mecca – the Nantahala Outdoor Center. 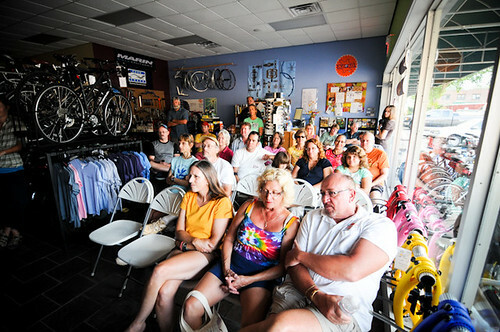 We then roll to Bryson City and have a great presentation at Bryson City Bicycles! 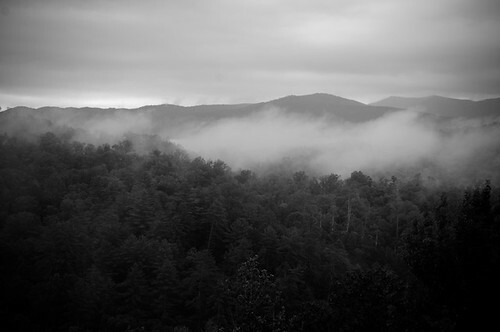 We explore the sights and sounds of Bryson City. 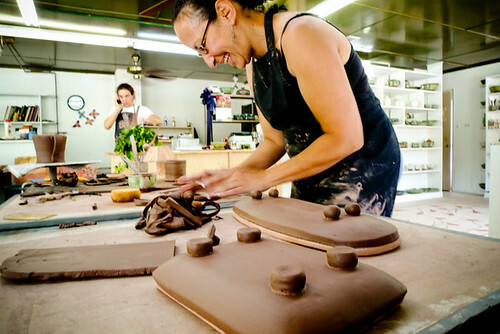 I went fishing (no photos) and Laura takes a pottery class at Pincu Pottery with our awesome host Raquel! That’s it for now. We’re enjoying our time in Bryson and will be heading into Asheville, NC soon. If you want to connect while we are in Asheville, send us an email! Beautiful pictures! Congratulations on your one year travel anniversary. You guys are truly an inspiration! I really enjoyed meeting you in Bryson City! Good luck in your travels and adventures. If you enjoy the videos on our YouTube channel and the stories we share about great cycling and outdoor recreation destinations, consider becoming a monthly subscriber either through Patreon or PayPal.